Polling for the local bodies election (LB) in Khyber Pakhtunkhwa (KP) across province to elect 41,762 leaders in three tiers of local councils has stopped on Saturday. The polling was started at 8 am and continued till 5 pm in the province. During the polling, Eight killed, 80 injured in bloodied KP polls. 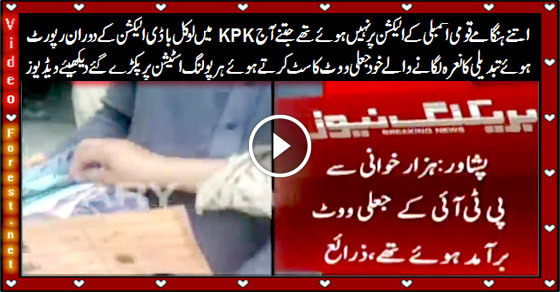 Rigging at various stations was also reported whereas the KP women were also barred from voting in the election. Getting the information of the incident, ECP took notice and directed the Returning Officer to take action as per law. The Election Commission of Pakistan (ECP) said that over 300 complaints had been received from district Peshawar. The complaints focused on mismanagement, rigging and firing outside polling stations in the district.